Credential Check- In- We have ordered credentials for ALL swimmers, coaches, timers, meet staff, etc. NO ONE will be allowed downstairs without a credential. Please inform your parents that they will not be permitted to walk their swimmers down to the deck. We will have volunteers positioned all through the building. They will be clearly marked with MEET STAFF shirts. If a parent is concerned about their swimmer please encourage them to find a buddy now and use the buddy system. Again, we will not allow any parents on deck. We are dealing 600+ bodies on the deck during the 11 & over sessions. PLEASE ASK YOUR SWIMMERS TO ARRIVE EARLY THE FIRST DAY TO PICK UP THE CREDENTIALS!! Timers- Teams will receive a list of timer positions that they will need to fill in proportion to their entries. PLEASE take the time to find these timers PRIOR to the meet. All timers will sign in upstairs and receive a badge to get down on deck for that session. All timers’ credentials will be turned in at the end of each session. Concessions- We will be providing concessions for the meet. Please let your swimmers know that a healthy breakfast, lunch and dinner will be available. We have Subway, Chipotle, Domino’s, and Chick Fil A coming in to name a few! Folding Chairs- ABSOLUTELY NO FOLDING CHAIRS ON DECK. NOT EVEN COACHES CHAIRS- SORRY. There is a ledge for sitting available around the whole pool deck. Coaches please use this to sit. FOLDING CHAIRS WILL NOT BE PERMITTED IN THE SPECTATORS AREA BY ORDER OF THE FIRE MARSHALL. Parking at Fairland- There is a lot of parking at Fairland. Parents tend to park on the street and YOU CAN GET A TICKET FOR THIS!!! There is additional parking available behind the bubble of the tennis courts. If you choose to park on the street you are parking at your own risk. Please use the parking behind the bubble. Finals- We will parade the athletes like last year. This will be covered more at a coaches meeting on Friday morning at the start of the meet. Please make sure to send a coach to the coaches meeting. PATIENCE- Please pack your patience!! We know that it is going to be crowded and the scoreboard is not the best. We will work very quickly to get results out immediately and post them on the pool deck so you know all the final results. Again, please be patient and it will all flow wonderfully!! These psych sheets are being posted in order to allow the meet entry process to be reviewed for accuracy prior to publication of the program. 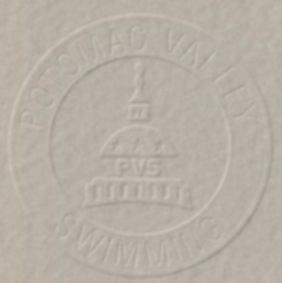 Entry times have been reviewed for verification via the SWIMS database. Coaches and team meet entry coordinators were asked to complete their review by 5pm Saturday, February 23rd. Times are approximate and are subject to positive check-in, etc. There is still a need for officials at all levels . To volunteer please contact the meet referee Pam Starke-Reed or submit the on-line application. This is an N2 certification meet, but you need to request observation in advance. Even if you did not sign up in advance, you can still work the meet. Just report to the referee when you arrive.